In 2004, the Australian Commission on Safety and Quality in Health Care (“the Commission”) introduced a National Inpatient Medication Chart (NIMC) to optimise safe prescribing and administration of medicines in hospitals. 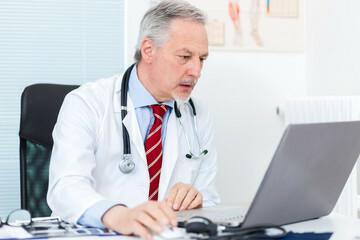 In 2009, the Commission approved use of a NIMC General Practitioner (GP) e-version, a printable version of the NIMC, pre-populated with medication information contained in GP software. In smaller Australian hospitals, where GPs have admitting rights, this NIMC GP e-version is currently being used.The objective of this research was to review and evaluate use of the NIMC GP e-version. We aimed to: 1) Understand how the NIMC GP e-version is used; 2) Identify possible benefits and risks associated with use of the NIMC GP e-version; and 3) Identify factors that may be contributing to increased risk while using the NIMC GP e-version. Doctors, nurses and pharmacists working in regional hospitals and clinics were observed as they used the NIMC GP e-Version and interviewed about the chart. Telephone interviews with additional staff (doctors, nurses, pharmacists and GP vendors) were also undertaken.